Own this amazing remodeled duplex in the heart of the highly desirable Lantern Village of Dana Point, with an upstairs 2 bedroom, 1 bath with large private deck off the living room with a peak ocean view and high vaulted ceilings and a 1 bedroom, 1 bath ground floor unit with a private back yard. Each unit has its own secure 1 car garage. Property is well maintained with new windows, new roof, has been re-piped, new appliances, new water heater, new wall heater, new furnace, new garage doors, and property has been recently tented. 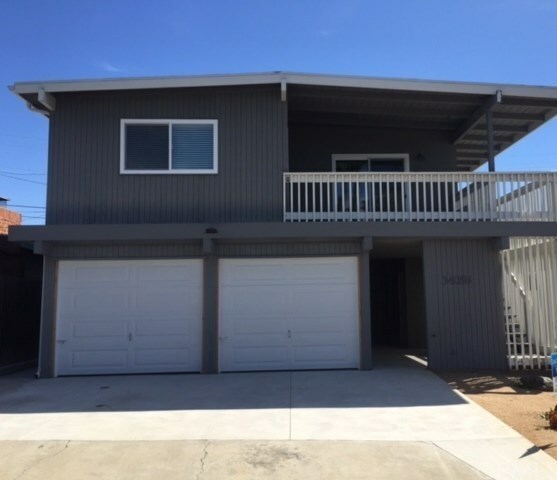 Great Investment opportunity to own a beach property in an excellent location, just a short stroll to Dana Point Harbor, local surf and beaches, shops and 5 star dining.